NEW Stanley Sweetheart Chisels Now Available at Highland! The Stanley Sweetheart Socket Chisels have been a topic of speculation for quite awhile, and now they are finally available! 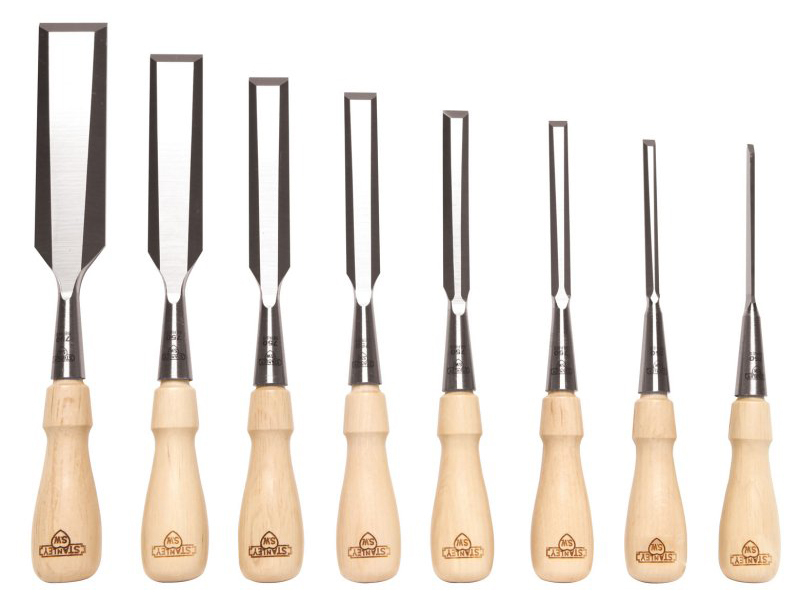 Based on the classic Stanley 750 Series chisel design, the Sweetheart chisels are made from high carbon chrome steel, and feature durable hornbeam handles and long, thin bevel-edge blades. Highland Woodworking is carrying eight different widths sold individually, as well as a 4-piece set and an 8-piece set. Chisel lengths vary from 1/8″ (~4mm) to 1-1/4″ (~32mm). Take a look at our selection, and pick one up for yourself today! I am certainly not above using small Hallmark holidays to get more tools! Product Video: The Steel City 13″ Helical Planer Last chance to get 2010 Festool prices!